In many cultures, circles represent the female form, fertility & the cycle of life...this is a great everyday piece. 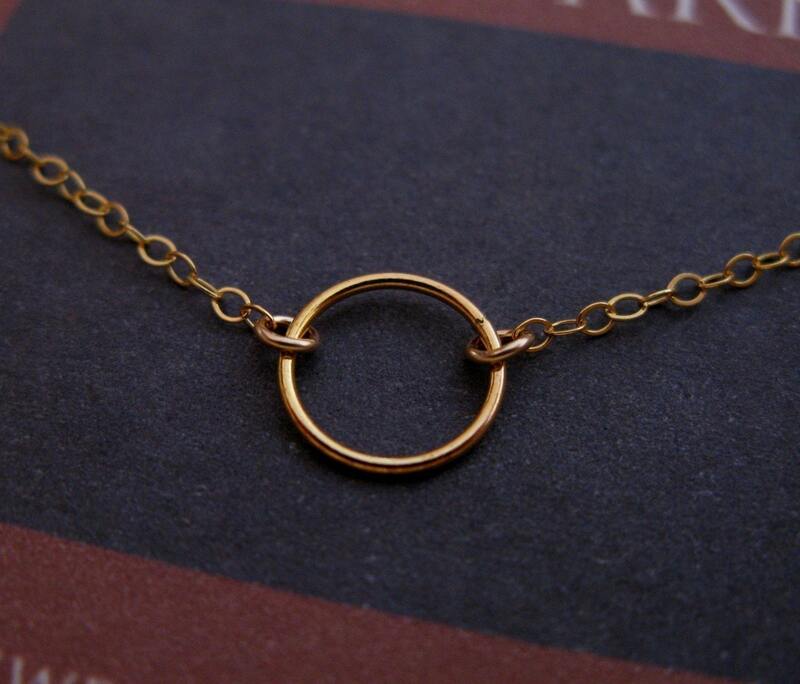 One of my most requested pieces...A petite 10mm polished 14K Goldfill open circle in a smooth finish. (also available hammered) 16" long. 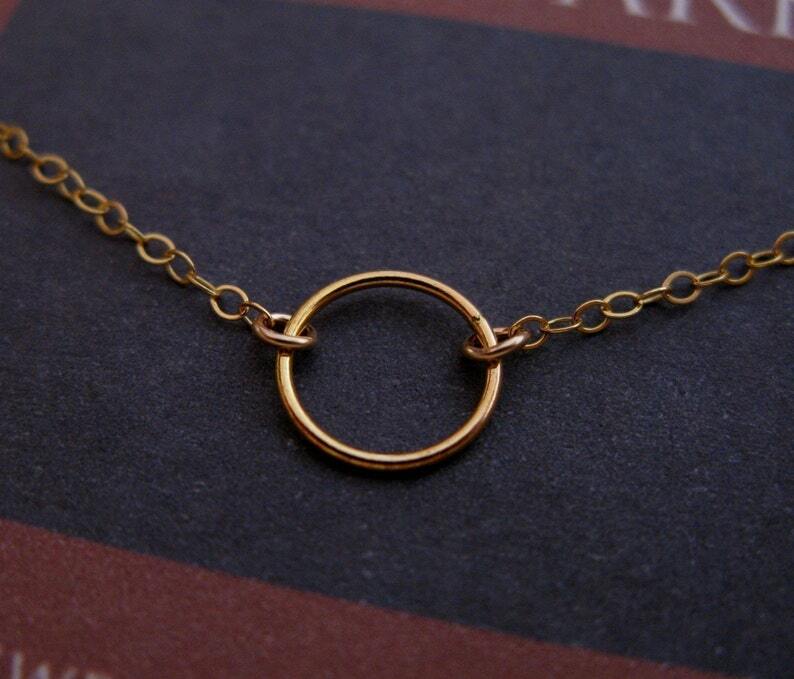 Linked to a shimmery 14K Gold fill chain ending in a round clasp.